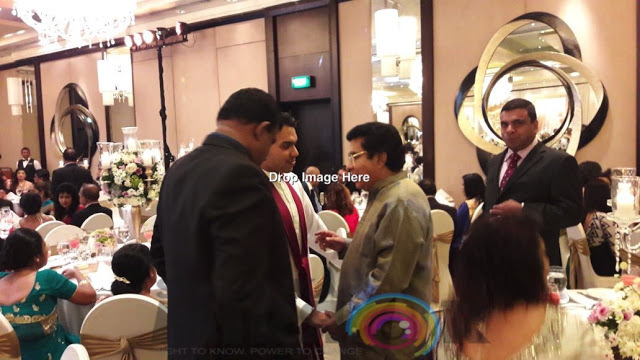 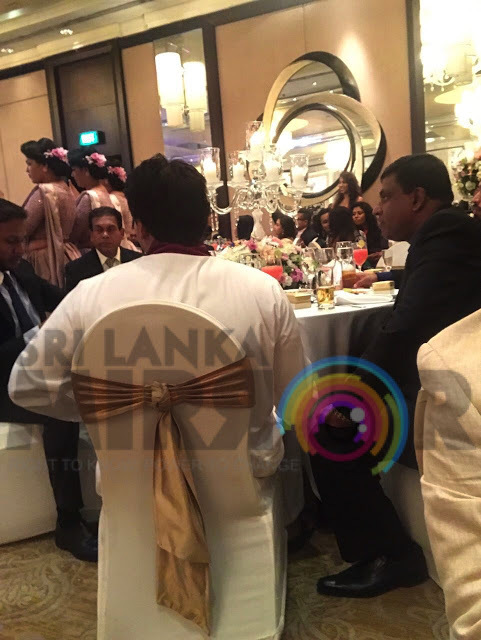 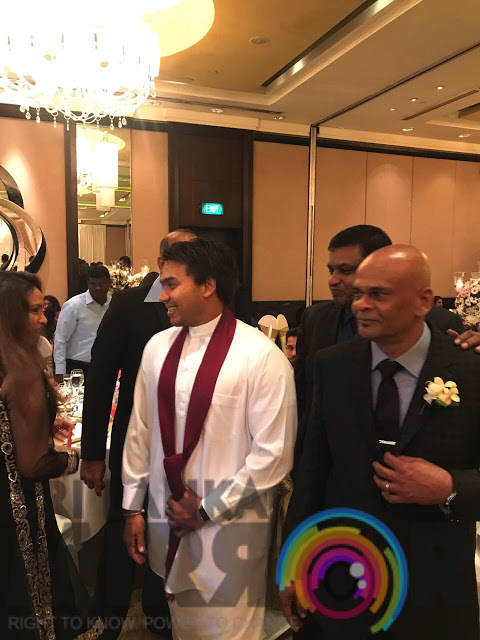 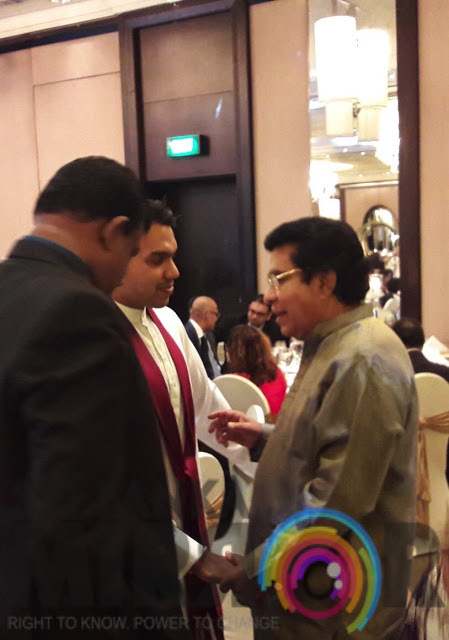 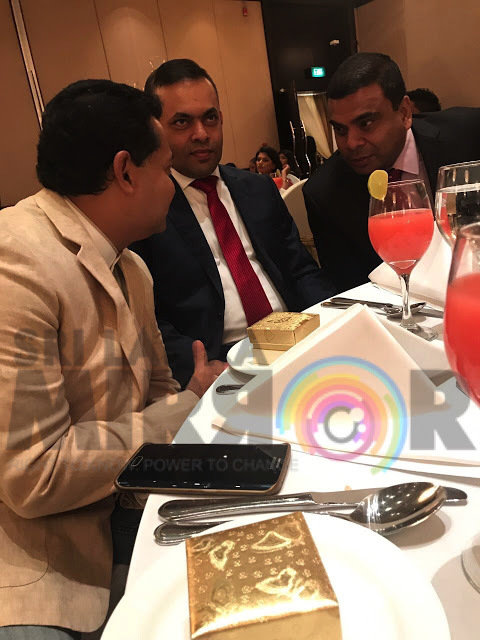 Former Minister Mervyn Silva and MP- Namal Rajapaksa had met at Cinnamon Lakeside last night (18), Sri Lanka Mirror reliably learns. 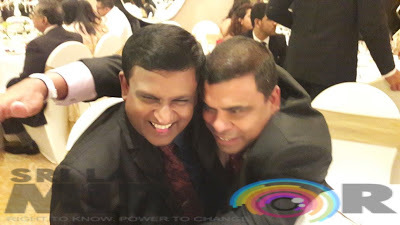 The two had hugged and were seen chatting holding hands. 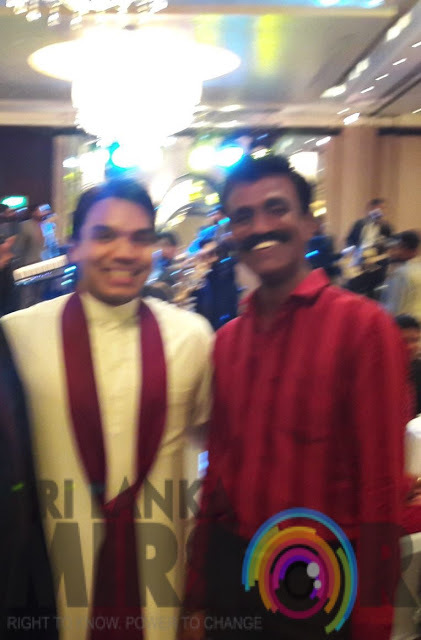 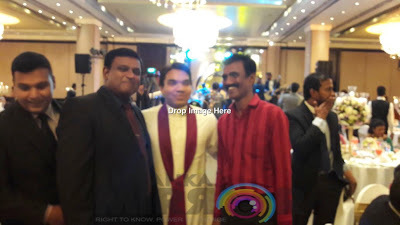 The Chief Organiser of Maradana, Suduwella, Kithsiri Rajapaksa (Maradana Choppe’s son) was also present at the function. 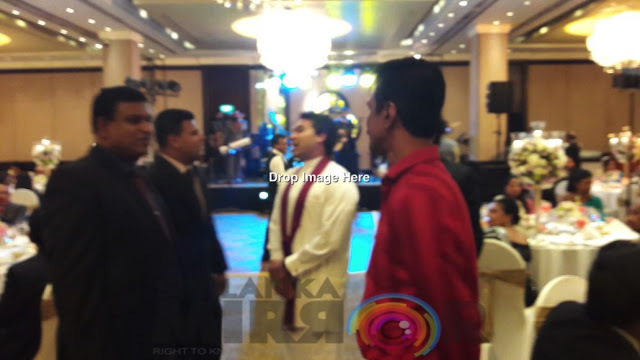 Former Hambantota Mayor, Eraj Ravindra was also present. 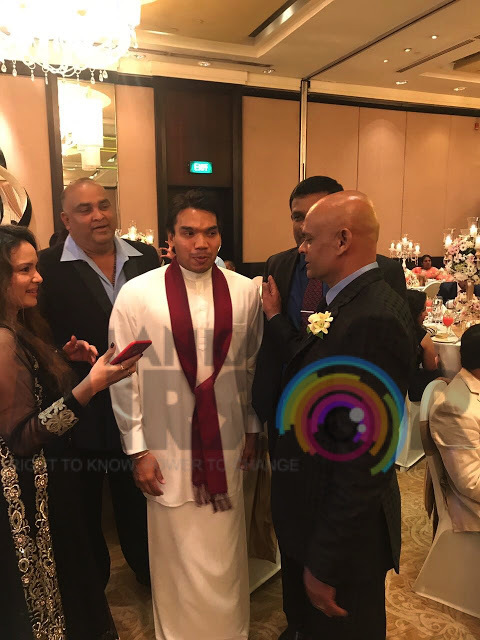 Mervyn Silva had also joined in the celebrations with a song ‘Sudu Sande Kalu wala’. 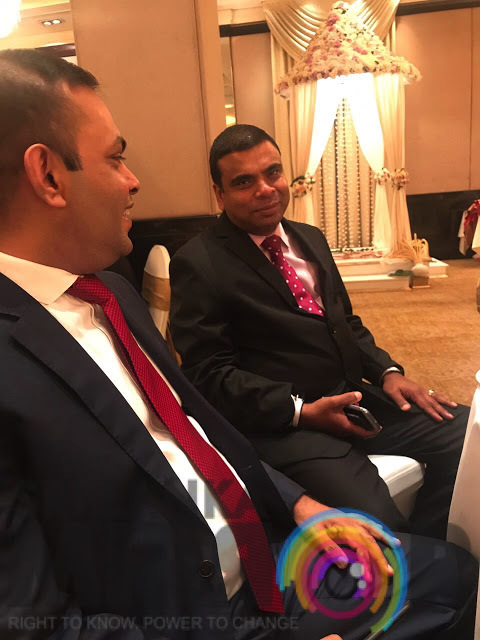 Mervyn Silva and the Rajapaksa’s had fallen out over the incident where Mervyn Silva’s son Malaka had been attacked by the security personnel of the President at Odel. 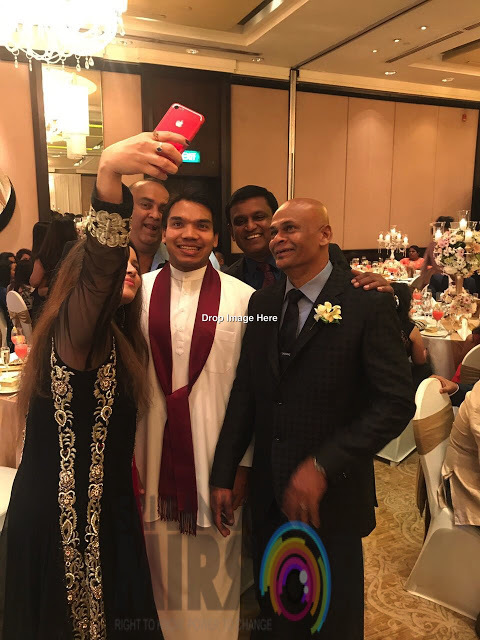 Malaka had been attacked for having made fun of Yoshitha Rajapaksa’s female friend.